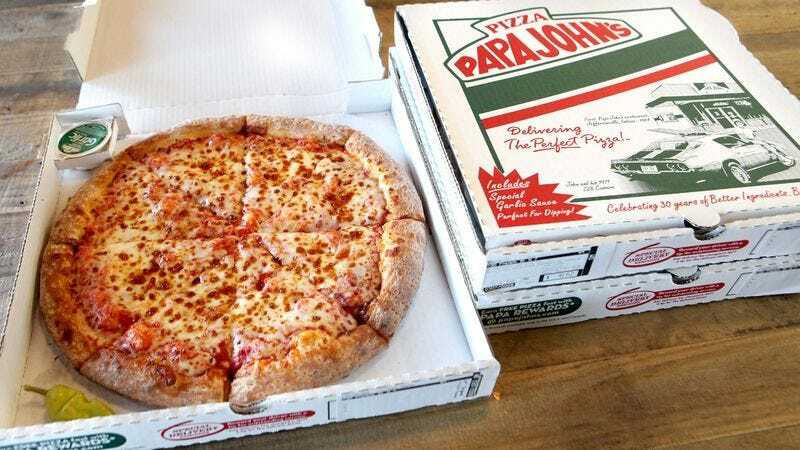 LOUISVILLE, KY—Aiming to provide their customers with the most convenient options when placing an order, Papa John’s officials announced Friday that the restaurant chain will now be offering three-day home delivery service on any purchase. “For just a $7.95 shipping fee, you can get three medium two-topping pizzas and an order of cheese sticks delivered straight to your door within three business days,” said Papa John’s CEO John Schnatter, who also unveiled the company’s new ground-based fleet of high-capacity pizza delivery trucks. “In cases where we miss a customer at home, our pizza carriers will affix a door tag providing instructions to pick up an order between specified hours at a nearby Papa John’s location. Of course, we’ll still offer our free standard shipping service, which guarantees delivery within five to seven days.” Schnatter added that for just $14.95, customers would be able to have their order shipped overnight via Next-Day Express delivery.